Valentino’s Studded Heels- Ever since the Valentino studded clutch made it’s debut at Valentino’s Fall 2012 show in March of 2012, Valentino has now designed many of it’s accessories in many different styles, all with the signature Studs. 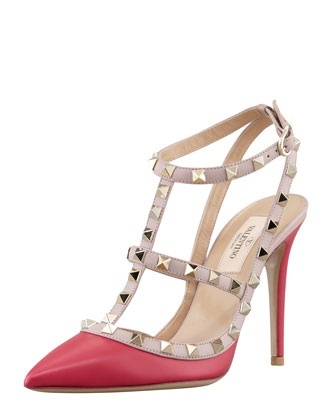 I just love the Valentino studded heels, which are definitely on the top of my Wish List for Fall. Coming in many colors and styles Bergdorf Goodman offers many great styles and colors. 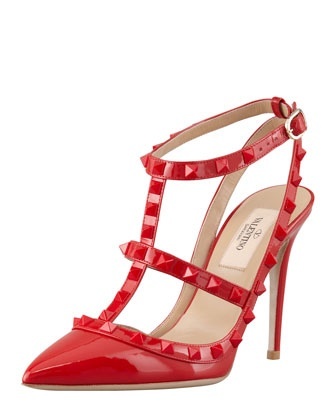 I would pair my Valentino studded heels with jeans, and a Fancy top for a more feminine feel. Or I would wear a Signature pair of Versace leather pants and a t-shirt and cardigan, or leather jacket for a more edgy feel. Plus the heels are perfect for dressing up and going out. Just the Chicest piece you need to give any look a Chic, Punk feel. Make sure to tune in everyday for the month of September for more #countdownmania.